Gina here: Occasionally guest bloggers stop in Inktropolis and share her/his thoughts on one of our themes. Today, I'm thrilled to introduce our first guest--Heartsong author Lynette Sowell. Take it away, Lynette! Thank you, Gina, for the invitation to visit. When was the last time you stayed up late because you couldn’t put down a nonfiction book? 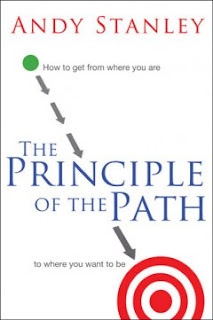 I stayed up too late the night I finished reading The Principle Of The Path by Andy Stanley (Thomas Nelson). Most of us have some regrets—how’d this extra 50 pounds get on my body—why do I hate my job?—how did I end up in this relationship?—where did all this debt come from? I probably missed a few, but you get the picture. The Principle of the Path isn’t a self-help book with generic, warm ‘n fluffy, positive self-talk, although I did come away encouraged. This book is Bible-based, referring to the lives of King David, King Solomon. It provides concrete examples of God’s principles and how they affect the paths we take. The solutions aren’t easy, either. We need to pay attention to what we’re paying attention to. Because sometimes aren’t we often far better at knowing what to do than actually doing it? And sometimes we don’t realize the small choices we make are links in a long chain of events that make us end up…somewhere. This definitely applies to writing and other areas of our lives. Writers follow a path, and while we’re on all a similar trail, our outcomes are often different. I do believe that applying the principles in this book will make us more productive, and effective, as writers. I’m not saying we’ll all be published. But self-discipline and self-evaluation go a long way to helping our writer’s journey. For example, I would love to be a full-time writer. But my career path has definitely taken lots of twists and turns to bring me where I am now. I originally wanted to be an artist. In fact, I earned a BA in Art. At the time I graduated, I didn’t take chances and pursue my art like I p robably could have. I allowed myself to be sidetracked. Instead of seeking God, I drifted into education. I love teaching, but at the time I thought I wanted to be an elementary school teacher. So after earning a post-graduate teaching certificate, I tried teaching. It took me too long to realize that corralling a roomful of kids is NOT my calling. Then I drifted into writing, all the while working a day job to help pay the bills. I still teach, but I teach adult Sunday School and love that. I’m thinking about taking up painting again, and seeing if I can get my work into some juried shows or possibly a gallery. Long story short, looking back, every decision I made has brought me to where I am now. I’m still not fulfilling my dream of working full-time at my passion. I can’t go back. None of us have that opportunity for a do-over. But what can I do now? What can you do now? I looked at this book as an encouragement to give me some re-direction. I probably will never have my New York loft and paint and show up at gallery openings, like I dreamed when I was a teenager. But that’s okay. I don’t know if I’ll ever become a full-time writer. I do know that I will keep working on my craft, keep stretching myself as a writer, and keep submitting my work. Lynette Sowell is the author of four romance novellas as well as a three-book cozy mystery series published by Barbour Publishing. All That Glitters is her first historical romance novel released through Heartsong Presents. She is a past secretary of American Christian Fiction Writers. Two of her novellas won first and third place in the Historical Novella Category of ACFW’s Book of the Year contest. Lynette lives in Texas with her husband, two teenagers, and five cats that have their humans well-trained. When Francesca Wallingford first meets Count Philippe de la Croix, he turns her head. But then an old friend, Alfred Finley, returns to the society that scorned him years ago. A summer in Newport, Rhode Island, with its sequence of balls and cotillions, pits both men in a quest for Francesca’s hand. But what role does love and honor play when Francesca’s mother has her own agenda for her daughter to become a countess. All the Glitters can be ordered here or here or here. Gina here again: In honor of Lynette being a Heartsong Presents author and for being our first guest blogger, I'm giving away a half-a-dozen Heartsong releases. If you’d like to be entered to win the entire six-pack, just leave a comment on this blog. Please leave an email address so we can contact you if you're the winner (include spaces or brackets around the "@" sign so Net spiders, etc, can't phish your address). We'll pick a winner at random on September 17th. Remember, all comments left today will also be entered in our grand prize drawing on November 1st. Lynette, so stimulating the gray matter behind those grimy little faces wasn't God's calling!! LOL. Thanks for a marvelous post...and for sharing a shocking revelation to a novelist: Fiction CAN keep you up late at night!!!! You're a great guest blogger. Have a great day!!!!!!! Thanks for stopping by and sharing your thoughts Lynette. This reminds me of a couple of the posts from last week that focused on personal responsibility. Every big decision we are faced with is a result of the little decisions that have brought us to that place. All of those things add up, and sometimes we just can't escape the consequences of several bad decisions. Luckily it works in reverse as well. Good decisions pile up and put us in the perfect place to take advantage of an opportunity, that we might otherwise not have even been in sight of. Lynette, thanks for visiting us, and for the great post. Lots of food for thought. I'll look forward to reading your historical. Congratulations on its release! And now, since being a full time writer isn't in my near future...I must go to work! Good Morning Gina. Great post. I would love to be entered in your wonderful draw. Thanks. Thanks so much for being our first guest blogger, Lynette! What a lovely post. I can't wait to read your new release. Congratulations! Well, I've been over here twice and failed to leave a post. Something's wrong when one spends five hours just responding to e-mail. I hadn't heard of Andy Stanley's book until Lynette mentioned it, but it looks like I ought to run to Lifeway and use the last bit on the giftcard. Why is it I can't buy Heartsong's there? Maybe I should join the Book Club. Oooh. I could put that on my Christmas list. Great idea! I stopped in Seekerville before I moseyed on over here. 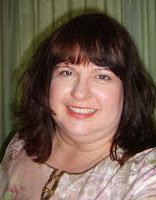 Shirley Jump is blogging on networking. Makes me feel like I need to schedule that Facebook tutorial that oldest son has yet to give me. Thanks for a wonderful post. I had not heard of Mr. Stanley's book until this post. I will have to check it out. Thanks for bringing The Principle of Path to our attention. I do enjoy non-fiction, but seldom go looking for it. And as a writer struggling to develop some writing muscle with disciplined daily pages, I think I need all the help I can get. I'll be checking out Andy Stanley and as a reward for the virtue of self-improvement, I'll go hunting for a Lynette Sowell novel. Unlike Gina, my local Christian bookstore carries Heartsong Presents. Yeah! Thanks again for stopping by. I'd never heard of his books, and so I thought I'd pick it up. It's an easy yet challenging read. As far as getting Heartsongs in stores, I don't see them in my area either. CBD carries them, though. Or may stores like Wal-Mart will carry the state "repacks" where Barbour puts all three novels set one state together. The Rhode Island Heartsong historicals will release all together in Sept. 2010. Tamela Hancock Murray and Darlene Franklin wrote the other two RI books. Like Gina, I've been peeking in all day and now I want to say thanks Lynette. I've been thinking about this subject--a little self examination. There's so much I don't see! I just realized who the author is, too. Thanks for being our first guest blogger. I look forward to seeing your art in a gallery near me soon! Thank you for sharing a bit of your journey with us here at Inktropolis. The "long and winding road" came to mind as I read your post. Congratulations on your new book... looks like God had His hand on the situation the whole time! Isn't He good? When I met some writers in the early nineties and thought I should start writing, as I'd dreamed of doing as a little girl, I made the decision not to write, but to simply get a job and make money. These writers kept telling me it was easy to get published in the 80s, but things were harder. I listened to them and took the easy road. I regretted that decision for ten years. Yet, bby the time I decided to write seriously, I had given my heart to the Lord, so what I wrote was much, much different than what I would have written before. A god-directed decision even then, when I wasn't following Him?